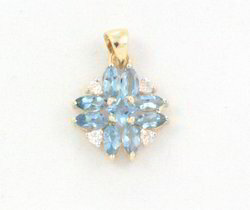 We are involved in offering a designer collection of Gold Pendant. 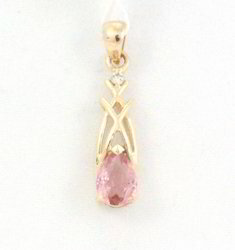 These are available with us in various attractive designs, finish and styles. 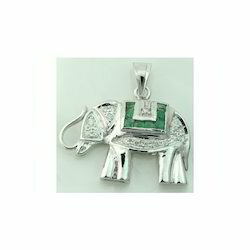 These are made using optimum quality gold which ensure its purity and long lasting finish. 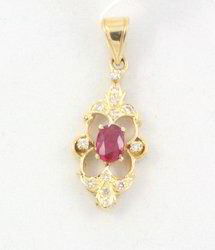 We are involved in offering fine quality Studded Ruby and Diamond Gold Pendant. 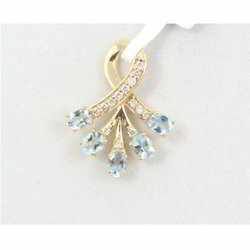 These Studded Gold Pendants are highly demanded in the market. These products are available in market at most economical rates. 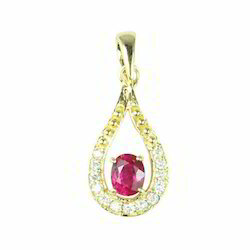 We are one-step ahead of our competitors in offering a wide range of Designer Ruby Gold Pendant. 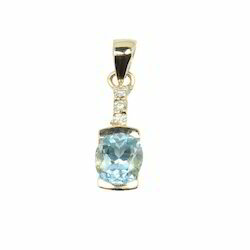 These are exclusively designed as per the latest fashion trend and admired for uniqueness and appealing look. 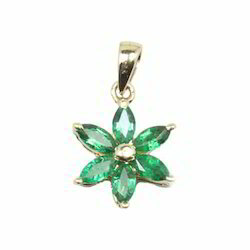 Our pendants are available in various finish and styles as per the exact requirements of clients. 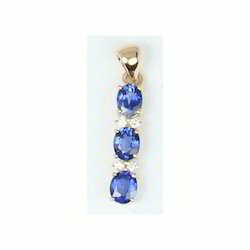 These are admired for their beautiful appearance and glamorous appeal. We offer these at reasonable rates. 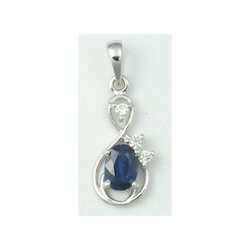 Due to our years of proficiency in this zone, we are enthusiastically betrothed in presenting a unique quality variation of Blue Sapphire White Gold Pendant. 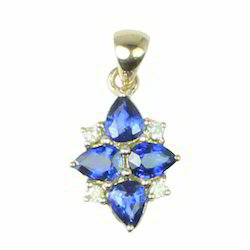 The pendants are also embellished with precious stones to impart rich look. Any of your own designs can be made. 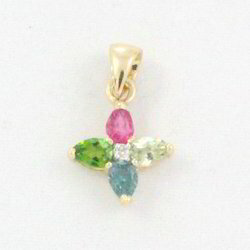 This particular design can be customized according to your requirement. Design can be manufactured according to your metal purity. 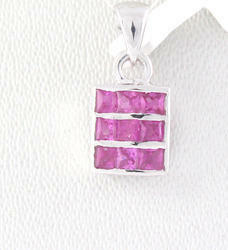 Can be made in silver too. 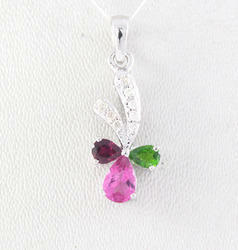 On Request gemstones can be changed to any other colour. 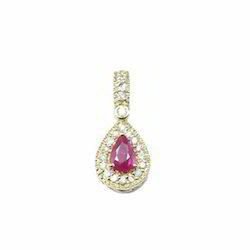 Enriched with vast industrial experience, we are involved in offering a designer collection of Hand Made Jewelry Ruby Studded Pendant. 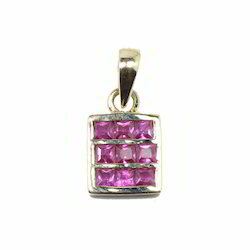 Our pendants are very eye-catching in appearance and acclaimed for their high purity and excellent finish. 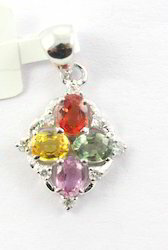 Owing to its uniqueness and elegance, these pendants are widely applauded by various numbers of clients. Besides, we also provide these in customized designs and finish. 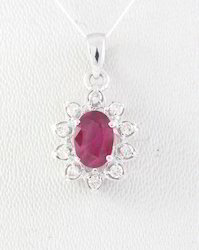 We are offering a comprehensive assortment of Ruby Diamond Studded Jewelry. These Studded Designer Pendants are perfectly designed by our expert designers by using superior quality material to ensure their quality. Design can be manufactured according to your metal purity and colour. 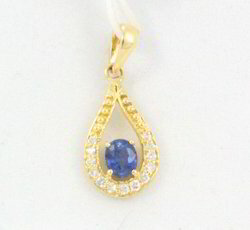 This is a marvellous simple yet eye-catching Blue Sapphire Diamond Gold Pendant embedded with four diamonds between them. 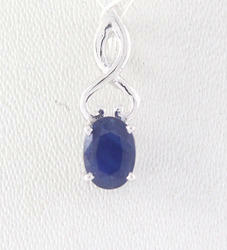 The sapphires are sourced from our years old vendors at reasonable rates. 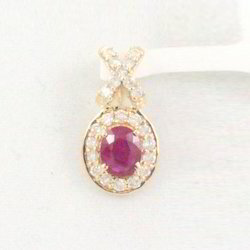 The USP of our designs is the quality of stones and diamonds that we use for making them glitter. 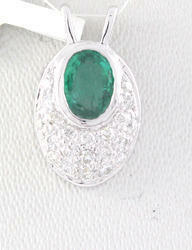 Design can be customised or even the stones can be changed to either Ruby or Emeralds. 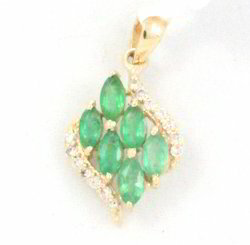 Owing to the presence of our experienced craftsmen and designers, we have been able to offer a unique range of Emerald Gold Pendant. 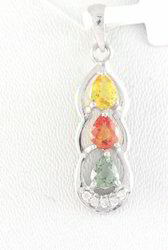 Demands of these pendants are increasing day by day owing to its unique designs and excellent finish. 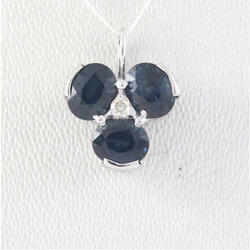 Our Pendants are made as per the latest fashion trend and admired for lustrous shine and elegance. 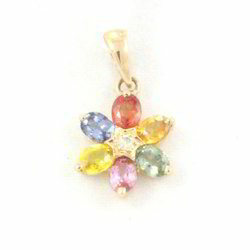 Customers can avail these pendants at reasonable rates. 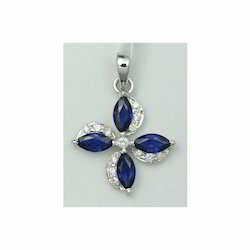 We are one-step ahead of our competitors in offering a wide range of Designer Blue Sapphire White Gold Pendant. 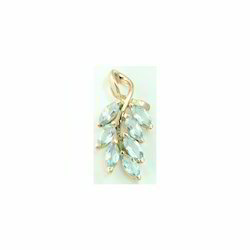 These are exclusively designed as per the latest fashion trend and admired for uniqueness and appealing look. 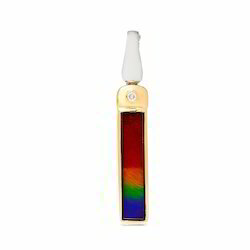 Our pendants are available in various finish and styles as per the exact requirements of clients. 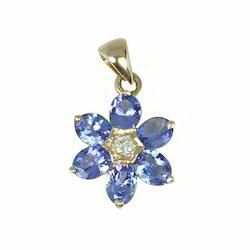 These are admired for their beautiful appearance and glamorous appeal. We offer these at reasonable rates. 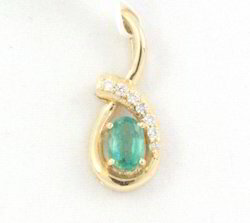 Our clients can avail from us a designer range of fashionable Aquamarine Gold Pendant. 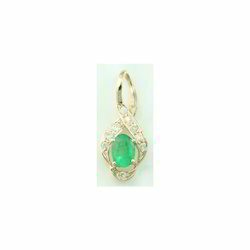 These are intricately designed and developed using finest quality gold which ensure its purity and excellent quality. 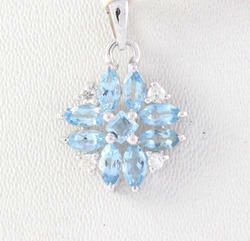 These are made in accordance with latest fashion trend and admired for their uniqueness and elegance. Besides, following the precise demands of clients, we also provide these pendants in customized designs and styles.